A NUMBER of leading hormone replacement therapy treatments have been withdrawn from the Australian market over the past two years, prompting concern about a lack of choice for women. Used by about 12 per cent of Australian women over 50, hormone replacement therapy drugs most commonly combine low doses of synthetic oestrogen and progesterone to replace natural hormones no longer produced by the ovaries after a woman has been through menopause. 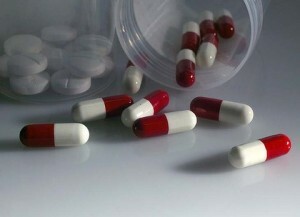 Three leading pharmaceutical companies which have withdrawn their products have cited commercial reasons behind the decision. Production of Oestradiol implants, marketed by MSD Australia, will cease this year. Abbott Australasia withdrew the progesterone medication, Duphaston, from the Australian market last year while Pfizer withdrew Ogen, a form of estrogen, from Australia in 2009. Dr John Eden, an associate professor in reproductive endocrinology at the University of NSW, said fewer choices meant some women were being discriminated against. There are only two progestin – a synthetic version of the hormone progestogen – tablets left in Australia. ”One eighth get PMT side effects from these,” Dr Eden said. ”Duphaston used to be the solution, now there isn’t an easy option for these women. A spokeswoman for Abbott Australasia said Duphaston was withdrawn last year due to lack of demand. Ogen was discontinued in 2009 after it became impossible to maintain supply. MSD Australia confirmed that production of Oestradiol implants would cease and advised women who use the treatment to discuss alternative oestrogen replacement therapies. ”MSD has advised doctors and relevant health authorities of the decision to cease manufacturing, distributing and supplying Oestradiol implants in Australia,” a company spokesman said. The Professional Compounding Chemists Association’s technical and training manager, Jenny Giam, said the group’s members had been asked to replicate some HRT treatments which were unavailable. ”Compounding is one of the avenues that can be explored if a drug is no longer available here,” she said. Ten years ago, about 27 per cent of Australian women over 50 were using HRT medication but the numbers have decreased following publicity surrounding a 2002 study which linked the treatment to an increased risk of breast cancer. However, a US study, by the Women’s Health Initiative, continues to cause widespread debate in the medical community with many doctors arguing that the research was flawed.